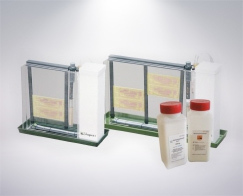 Equipment and consumables for the production of prototype boards and front panels. 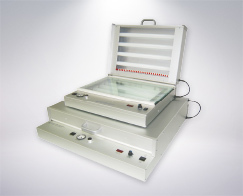 UV exposure units for the exposure of photocoated base material, printing clichés and metal foils as well as for material analysis or ageing tests. 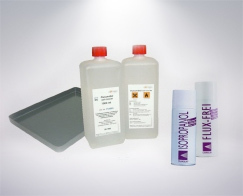 Equipment for etching printed circuit boards and metal foils. 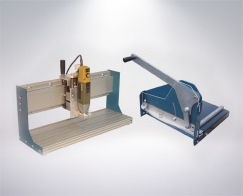 Equipment for mechanical processing of plates and sheets by drilling and cutting. 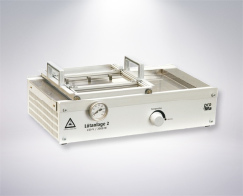 Immersion soldering machine for soldering of assembled blanks and tinning of components. 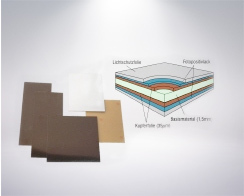 Base material for the production of blanks, photocoated metal foils, IMS blanks and hard paper sheets.